The History of Ireland bracelet features six sterling silver charms that are 1/2" wide. 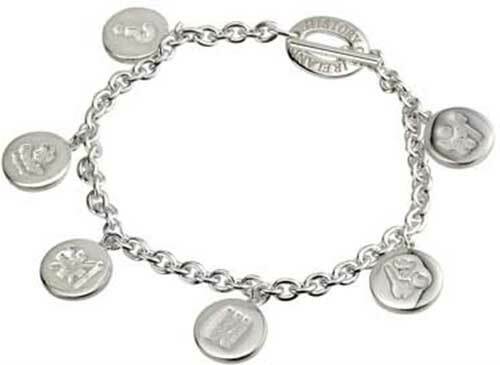 Each double sided charm on this sterling silver bracelet is enhanced with two of the twelve History of Ireland icons. The History of Ireland charm bracelet is 7 1/2" long, including the Tiffany style toggle catch, and it is gift boxed with the legend booklet that explains the symbolism.